If you're looking for more flexibility this grilling season, this grilling cart is exactly what you need. 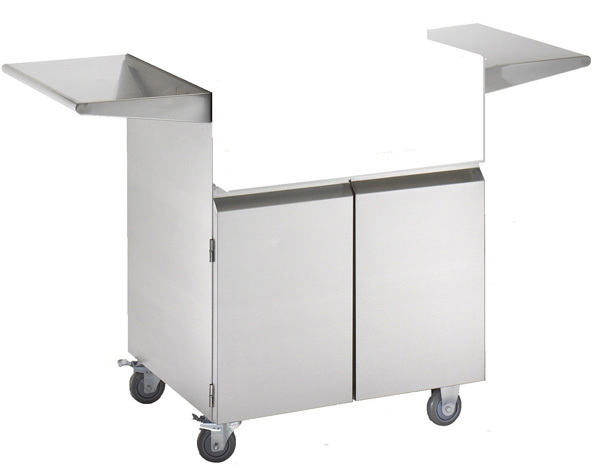 Easily moved from one location to another, this cart allows you to party where it's convenient for you, not where the mounted grill dictates. Made from high quality stainless steel and crafted by the professionals at Newport, this grill has been designed to be equal parts durable and stylish. The cart comes with storage space for all your grilling accessories, and because it fits all Newport 740 grills, should you ever choose to upgrade from your current model, you can still use the cart. Give yourself the ability to grill where you want with this Newport grill cart. Easily moved from one location to another. Fits all Newport 740 series grills. Includes plenty of storage space.